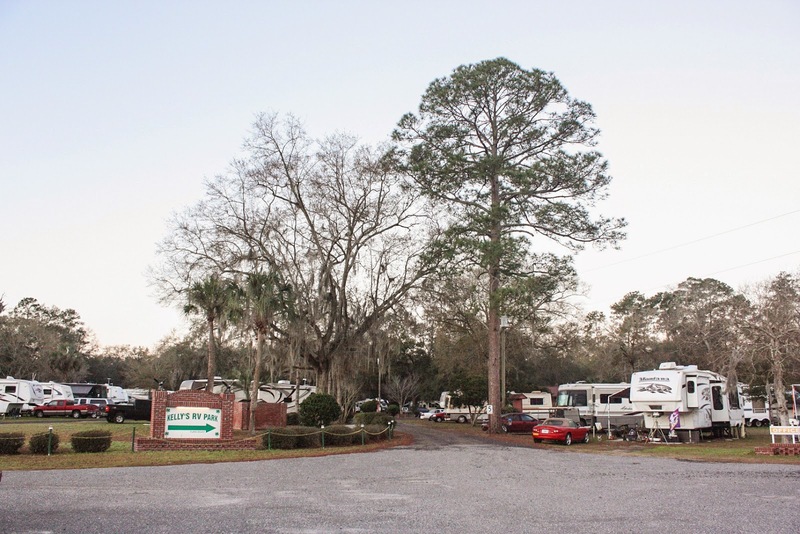 We left Hardeeville last Saturday and moved to Callahan, Florida which is out in the country near the Georgia state line not far from Jacksonville. The camp ground in Callahan is small and tight but we found it very nice. The sign at the entrance was certainly unique and I recognized it right away as a great example of repurposing which is highly touted these days as part of the recycling movement. 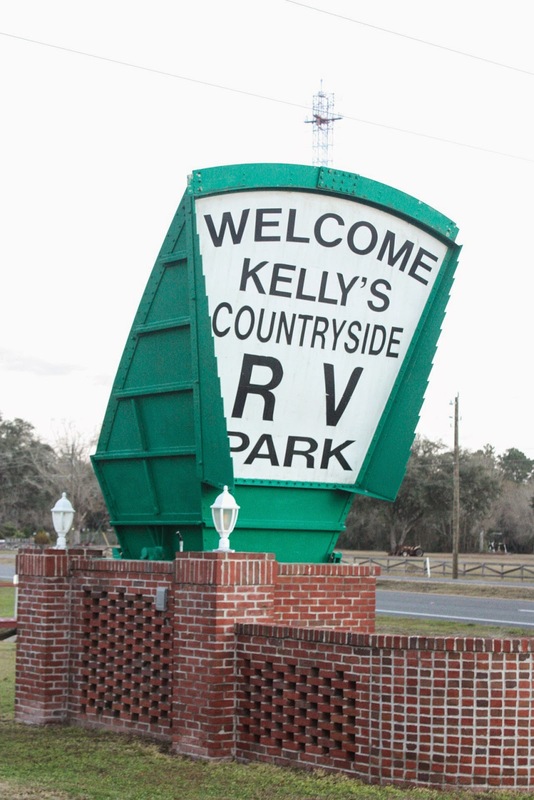 The campground's signs facing both ways on US 301 are old 1950's era C-band microwave antennae developed by Bell Laboratories as part of their long lines telecommunications. This is before satellites. 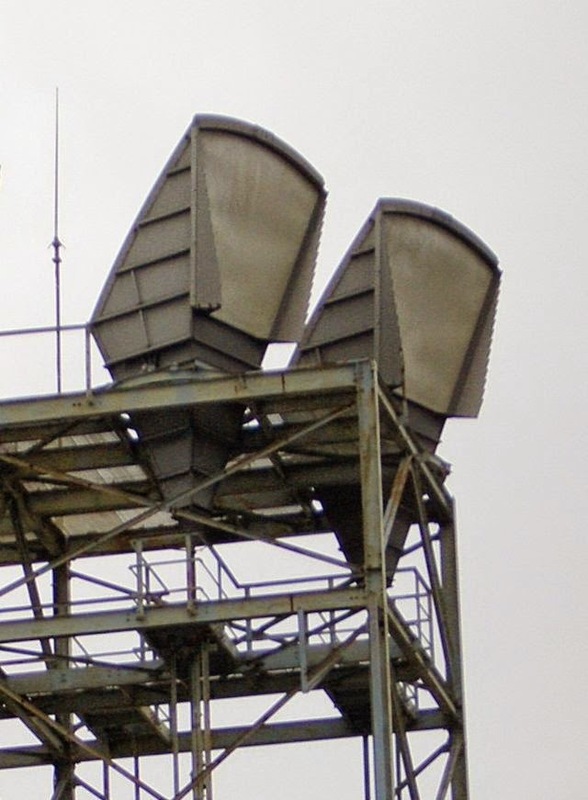 You could see these horn type antennae along side highways relaying line of sight microwave radio signals. With the advent of satellites and fiber optic cable, these rather large antennae were made obsolete. In 1964, cosmic microwave background radiation was discovered which was the evidence that was used to prove the Big Bang model of the creation of the universe. The accidental discovery of this background microwave radiation by American radio astronomers Arno Penzias and Robert Wilson used similar antenna design and won the Nobel prize in physics for their discovery in 1978. OK, class dismissed. While in Callahan, I had to make an essential repair to our shore power cord. 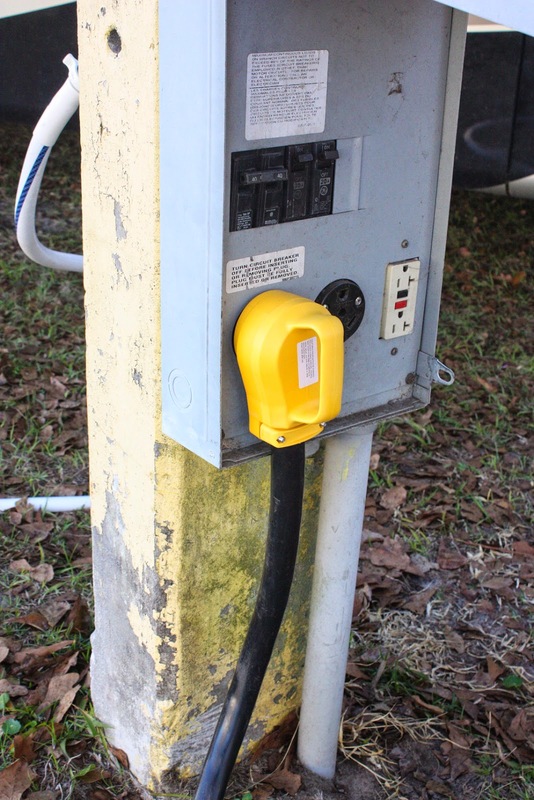 Evidently I left the ground prong in the female socket in Hardeeville and discovered the problem when we arrived in Callahan. It is not good not to be grounded. So I made a trip into Jacksonville to the Camping World store to get a replacement cord that would wire into the transfer switch box. Cost would be over $200.00 for a new cord and plug and since my cord is still in very good shape, I opted to just purchase the male plug. $27.00. 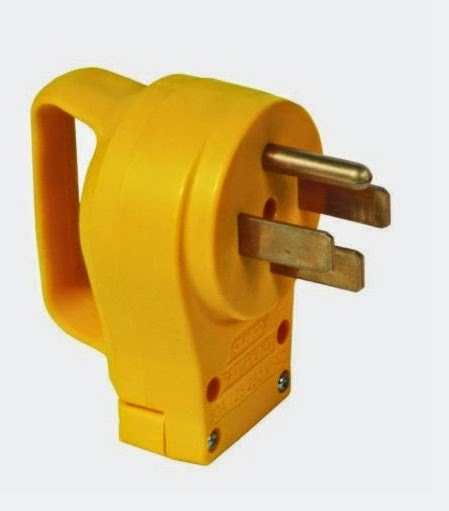 It took an hour sitting at the picnic table outside to cut off the old, groundless plug, strip the 6 and 8 gauge braided copper wire in the cord and attach it to the prongs (correctly) and re-assemble the new plug. I re-attached Phaeth to shore power and all was good once more. 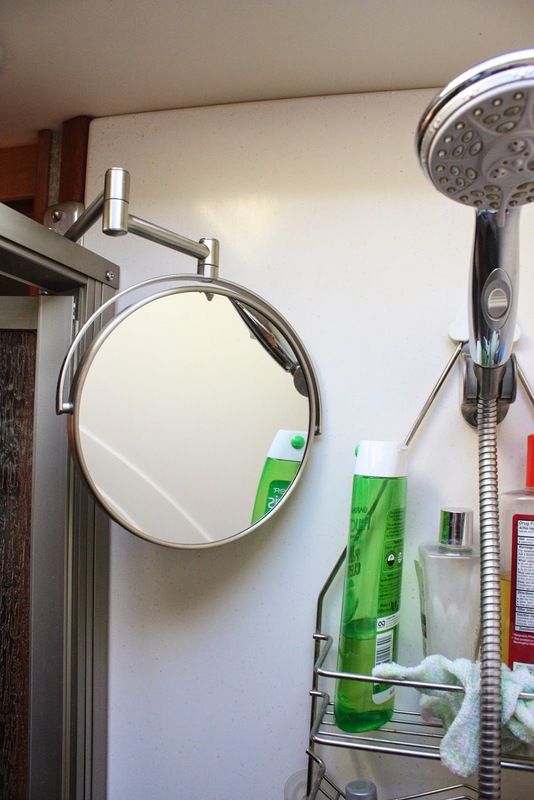 Because I like to shave in the shower which, because there was no mirror, I had to shave by feel and risk lopping off part of my mustache or making my sideburns uneven, I revised our shower by adding a flexible mirror. Now I won't miss any spots on my handsome, rugged face. 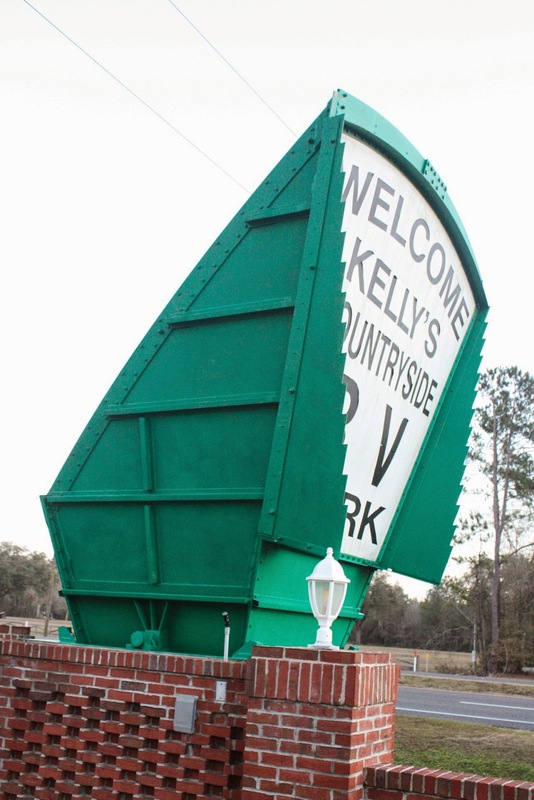 Monday, hearing of blizzards in the North East and single digit highs in the Mid West, we drove to Ocala, Florida where it was 65 degrees. YES! Certainly is nice to be handy and/or creative.